As in our daily lives, Guftugu too faces the challenge of living up to the rich possibilities of our multi-lingual cultural practice. English helps as a “link” — but the daily task is to engage with as many languages as possible, and understand, and enjoy, if in a limited way, the plural linguistic cultures in India. From the first issue of Guftugu, we have included translations from languages across the country, from Malayalam, Tamil and Marathi to Punjabi, Hindi and Urdu. We have included the original texts, at least for poetry. We would certainly like to go beyond the languages in the arbitrarily conceived Eighth Schedule of the Indian constitution, something U.R. Ananthamurthy always wanted scrapped. His point was that it creates a hierarchy among languages; a hierarchy intensified in recent years by the equally arbitrary recognition of some languages as “classical”. After the recent revelations of the People’s Linguistic Survey of India pioneered by Ganesh Devy, we know that even the division of India into linguistic states was more an act of the State’s will, rather than a response to popular need. There are dozens of languages spoken in each state; still, one language is given prominence to the point of hegemony in the affairs of the state, as well as in education. Languages are not just clusters of letters and words, but cultures. Unless we recognise them as cultures and strive to understand them, we do not do justice to our legacy: what Aijaz Ahmad describes as “multilingualism and polyglot fluidity” when defining the central feature of Indian literatures. India is said to possess a translating consciousness. Yet translation in India faces several problems, and this is particularly true of translation between Indian languages. Globalisation, and the cultural amnesia it imposes on countries like ours, marginalises this important activity. We are becoming more and more monolingual, at least in terms of linguistic competence. 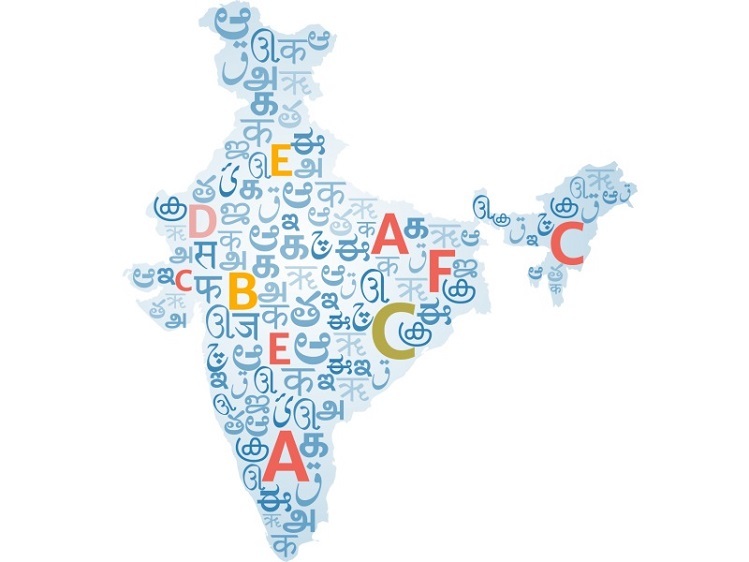 Inter-language translation requires competence in at least two Indian languages, including some knowledge of the regional cultures and literary traditions that inform the texts. Despite the level playing field supposedly available for inter-language translators, the field, in reality, is not always that “level”. Meenakshi Mukherjee, speaking of her experience of translating Alka Saraogi’s Hindi novels into Bangla, pointed out how Bangla resists translations from other Indian languages, including Hindi; even while translations from Bangla are plentiful in Hindi and other Indian languages. In the past, vertical translations — those from a hegemonic language like Persian or English to a non-hegemonic one — were more common than horizontal translations — between two non-hegemonic languages. The case is not very different even now. Again, literary translation in India is mostly confined to certain genres such as the novel. This choice is dictated more by commercial interest than social or aesthetic concern. In some languages, poetry, drama, discursive prose or the short story may well be doing better than the novel. This creates gaps and unevenness in our understanding of other literatures. Truly contemporary works rarely get translated, as it takes time for a new work written in an Indian language to gain national notice, unlike a work written in English. Only works produced by certain movements sometimes get translated as they often appear in academic curricula, or have immediate political relevance. There is a dearth of competent translators in each language from many other languages. To take the case of Malayalam, direct translations into Malayalam happen only from Hindi, Bangla, Marathi, Tamil and Kannada. Even here, excepting Hindi, it is often just one or two translators who do the job; and often, they are without followers. Our universities do next to nothing to create or upgrade skills in languages other than the mother tongues. This means we fall back on mediated, indirect translations, and end up using English versions (or at times, Hindi versions) which may be far removed from the original, and may well erase cultural markers. There is also a scarcity of journals in languages which promote inter-language translations. Publishers in many languages too are indifferent to them, and do not pay sufficient attention to quality editing. Whatever little translation happens here is also accidental, hardly schematic. The result, again, is unevenness of impressions. There are few impact/reception studies of the original works to ensure their reception in another language. Translation is an attempt to retrieve our people’s histories — often lost, or distorted, because of colonial interventions. We need translation to resituate their past, reassess their present and grasp their modes of imagination and creativity. And this, no doubt, is best done in people’s own languages.